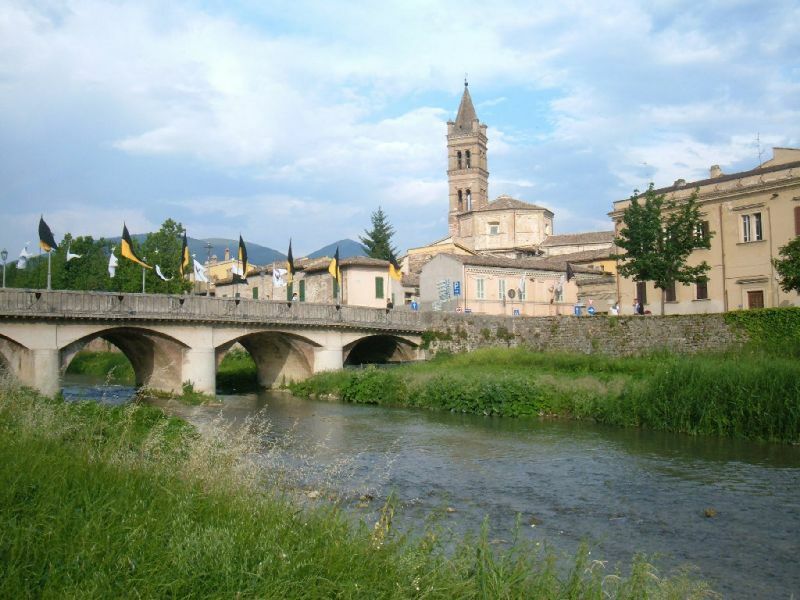 In spite of the terrible earthquake that struck the town in 1997, Foligno is still a thriving city with an economy based on industry and commerce. The Cathedral of Foligno houses Saint Feliciano’s remains. It was constructed in the 12th century; however as centuries elapsed the building became an interesting pastiche of styles from the Roman-Gothic to the Renaissance. Vespasiano Strada in the16th century painted some frescoes that can be admired here. The Palazzo Trinci belonging to the fiefdom of the Trinci family and is certainly a must-visit for its beauty and many real treasures including paintings and frescoes dating back to the 15th century. The family commissioned Ottaviano Nelli to decorate the palace. You can also see some of the historic costumes that those performing at the Giostra della Quintana will wear. The Trincis, the Baglionis and the Vitellis were families ruling in the region and each giving their names to important buildings scattered in Umbria. The Giostra della Quintana is a lively festival which has recreated medieval jousting tournaments for over 6 centuries. It is held in June and September. The whole medieval ambiance is revived: historic costumes are worn by the competitors representing the ten neighbourhoods and typical medieval dishes are served. 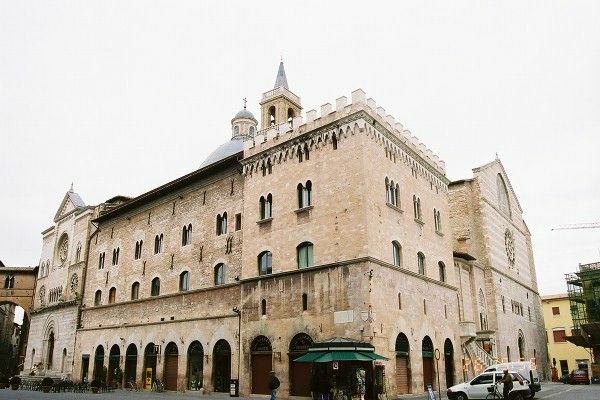 The tourist information office close to the Porta Romana supplies information about Foligno, Bevagna, Montefalco, Spello and Trevi. Il Bacco Felice is located on Via Garibaldi. Its walls are lined with graffiti, books and bottles creating a warm, traditional atmosphere. The owners are particularly friendly and they offer a varied menu. Il Barbablu sells delicious and cheap pizza. BY BUS: the bus terminal is 50 m away from the railway station. 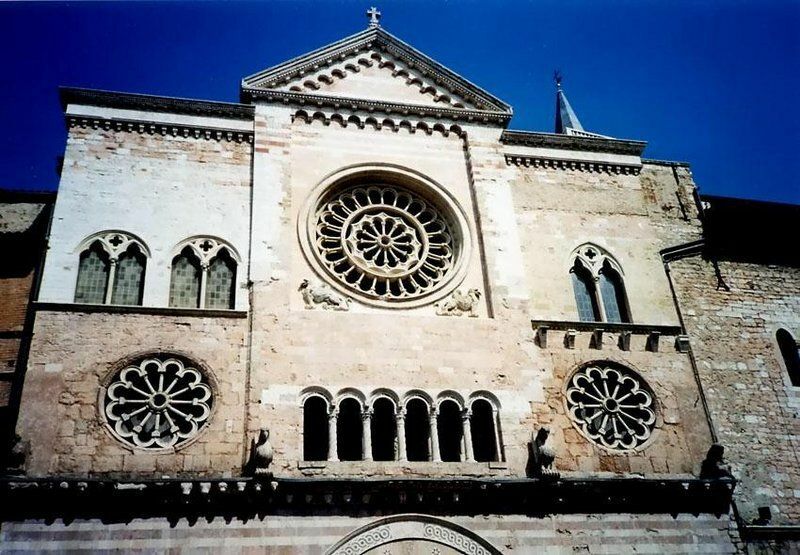 BY TRAIN: to Perugia (duration: 40 minutes), to Assisi (duration: 15 minutes).